In 2012, the POLARIS BHA was used in a five-well program in the Niobrara formation along the Colorado-Kansas border in the United States. The drilling program was completed in two phases in combination with a hybrid drilling rig. It demonstrated that the tool is suitable for drilling directional, S-curve, and horizontal wells in shallow reservoirs. The program was completed successfully with the plans for all 5 wells followed accurately, resulting in 5 producing wells. Mud was used for the build section of each of the wells, and air was used for the horizontal sections. No pads or access roads were prepared in accordance with the low margin nature of the wells in the particular field. 5 wells were drilled with accurate directional drilling. The program demonstrated that multiple wells could be drilled from the same pad, safely and accurately, with the use of a gyro. 100% clean health and safety record. Captured technical learning's and best practices. Complete Directional Coiled Tubing Drilling Package. 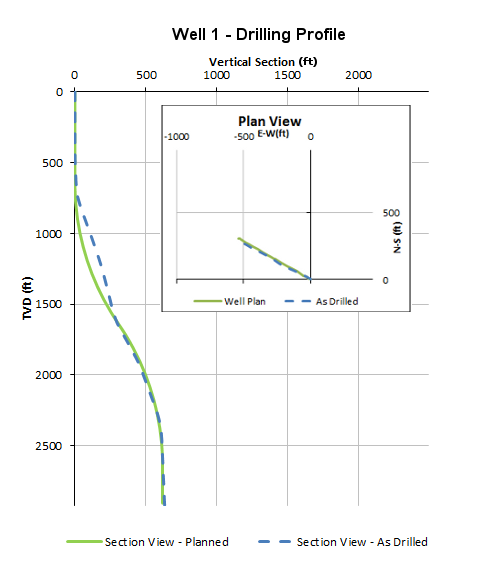 Bespoke well path planning and feasibility modelling. A range of Bottom Hole Assembly sizes suitable for re-entry and grass-root applications. Reduced operating costs as both drilling time and rig-up time are quicker with CTD. Underbalanced drilling protects the formation and allows production to continue whilst drilling. 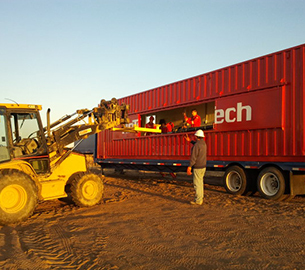 This well trajectory was planned so that the rig could be sited beside a cornfield that was being harvested. This was important in order to prevent the inconvenience that would have been caused to the landowner by drilling a vertical well in the middle of his crop. Accurate directional drilling - Precise paths were drilled, hitting the pay zone and following specific well plans. Hole sizes ranged from 6.25" to 8.5". Optimised well paths - The ability to kick off as soon as the bit exists the casing, but with the gyro MWD tool still within it, means that the build rates can be kept up to a minmum necessary to achieve the target, making it easier to run casing. 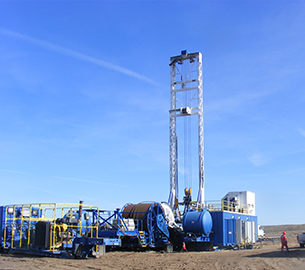 Pad drilling with CTD - The program demonstrated the potential for multiple wells to be drilled from the same pad, safely and accurately, with the use of the gyro. 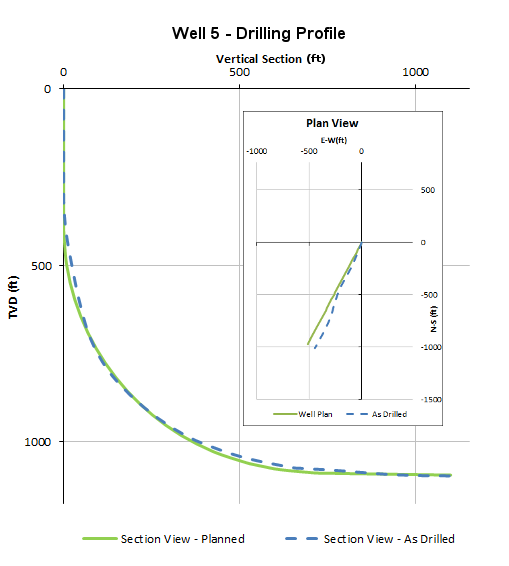 Underbalanced drilling - Air drilling is known to be extremely punishing for downhole tools. At the same time, it is a necessity for wells where the reservoir pressure is very low and overbalanced drilling might damage the formation. POLARIS showed that it could effectively survive and function in its environment. Economical drilling - The drilling program is typical of the low-margin operations for which the POLARIS tool has been designed. With rapid mobilization and drilling, it is now possible to drill wells that were not previously considered to be financially viable. 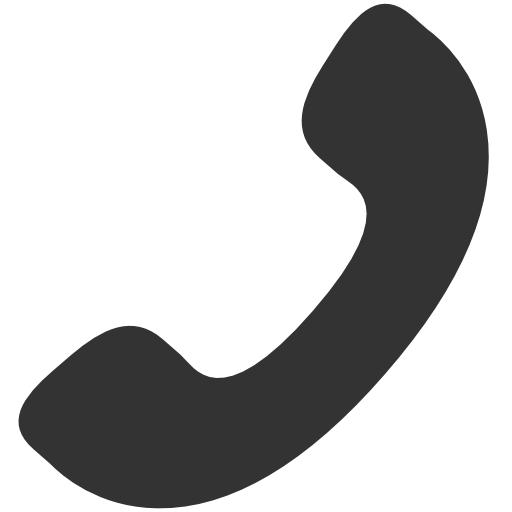 AnTech Ltd is a limited company registered in England & Wales, No: 2962739.